If you've made Homestead brewer Ron Feruglio's acquaintance and got to know his beers over the years, you'll know what we mean when we describe this as the most Ron beer imaginable. Not only is he one of the best and tightest brewers in Australia, he's one that is happy to go to extraordinary lengths and into the finest detail when conceiving, constructing and brewing beers. If he's ever gone to greater lengths than with this beer, we'd be amazed. 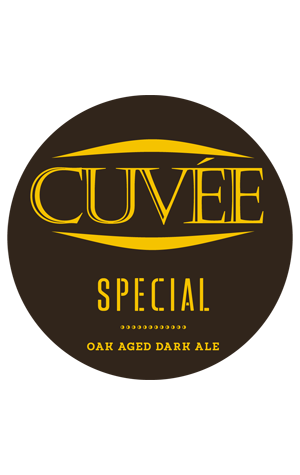 The Cuvée Special actually started out as three separate beers: different malt bills, different hops and different yeasts. Each of the three was then introduced to three different types of oak (including one that Ron had only just learnt about from the Mandoon winemaker). And then the three were blended to create the end beer. As you may well imagine, the resultant deep mahogany coloured beer is one well suited to the description "complex". It'll take you to all manner of places over the course of a warming glass: vanilla, rich fruits, malt sweetness, fortified wine and on. As rewarding for the connoisseur as it is bonkers in conception.